Nah, a picture of my feet to start the entry. Heehee. 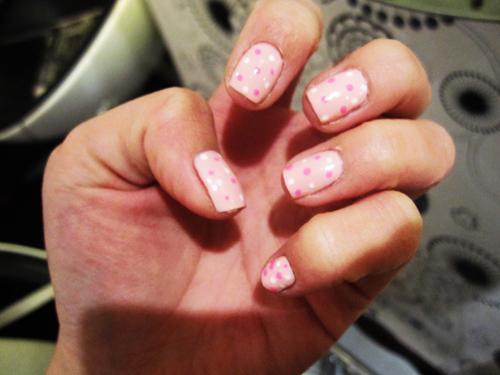 Did manicure and pedicure at Milly's again! 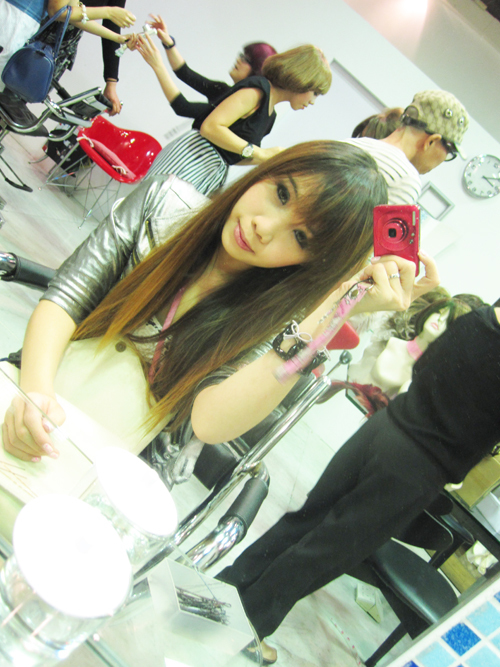 I recommend Meiling from fareast branch and Gina from bugis branch. 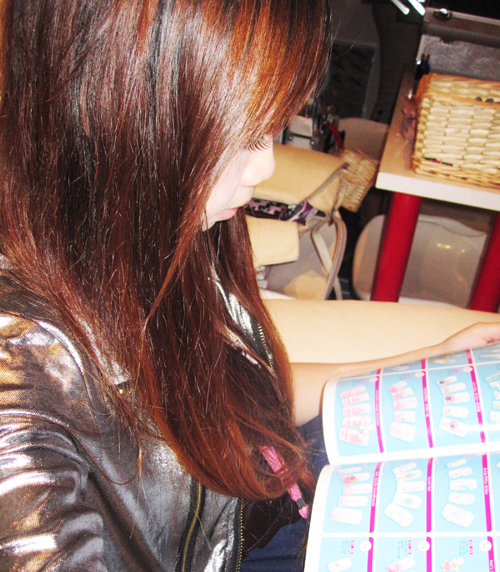 Choosing a design from the nail book. You can mix and match your own designs too! Instead, i asked her to do nailart. 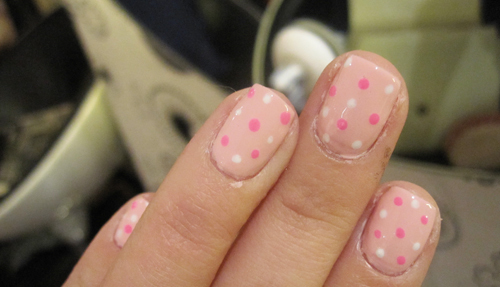 Light milky pink base, with white and dark pink polka dots. ME LIKE!! Just realised that the colours mitchy matchy with my blog. Very sweet! Jacelyn invited me, Fidelis and her friend (didn't catch her name!) 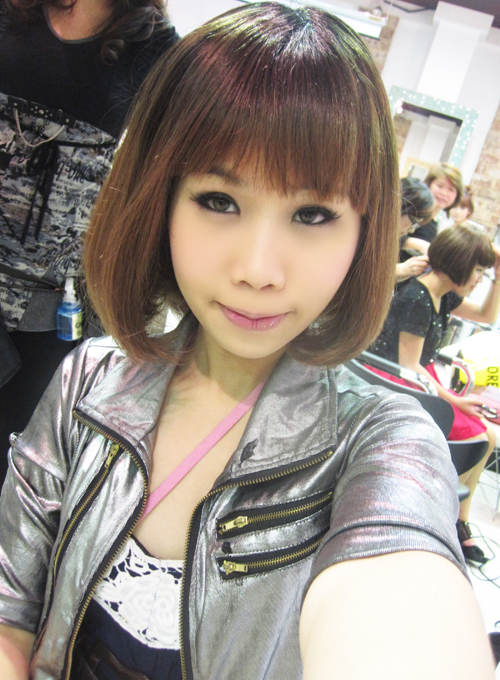 to a bloggers evening with Shunji Matsuo, the famous hairstylist! 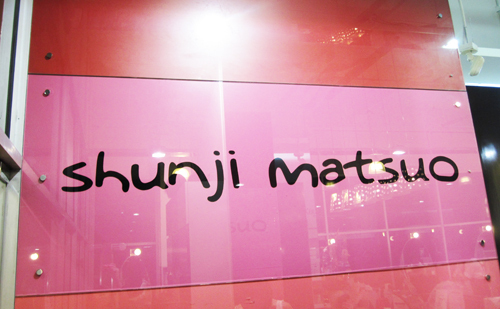 I love how his namecard and signboard is PINK. It was only until we got in then I know what the event is all about! It's the launch of Wigs by Shunji Matsuo! "Hair is so important to the way a woman looks, and I wanted to free them from the constraints of having to settle for just one"safe" hairstyle to fit their professional image - which they always tend to do. They spend so much money on clothes and accessories to look different; having a totally new airstyle to match the "image" that they are trying to create completes that look." I totally agree with what he said! Wigs were once tools for covering bald spots, but now they can actually help us express the way we feel, and get different styles to feet different occassions. "With these wigs, you get to explore the full potential of your beauty, so that you can enjoy the hairstyles that you have always dreamt about effortlessly, without having to wait for your hair to grow out or spend hours in the salon. YOu can also play with different colours, lengths and styles, and change your hairstyles as much as you like without having to worry about ruining the condition of your hair." 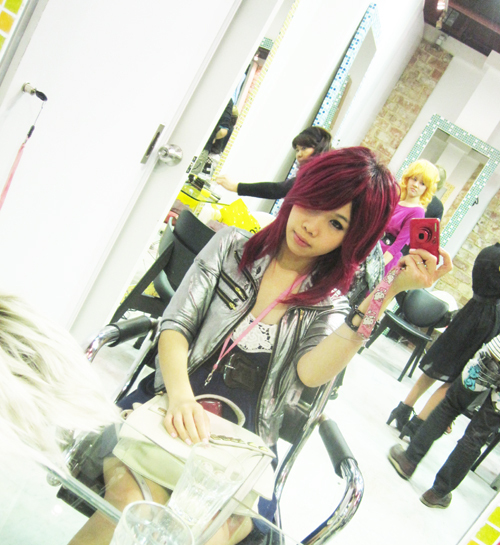 The wigs are exclusively designed by Shunji Matsuo himself, and are meant to be worn as a fashion accessory. The signature collection merges fashion, attitude, lifestyle appeal and versatility, with the convenience of wear-and-care comfort and practicality. Demonstration on the models. Gasps from the watching crowd as they look totally different after changing styles. 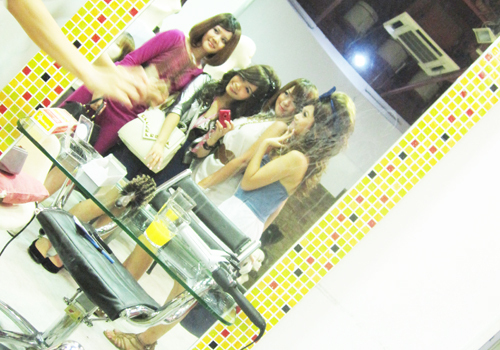 Now, it's time for US to change OUR hair! So fun!! I get to try hairstyles I've been wanting to try but not dare to cut my hair for! 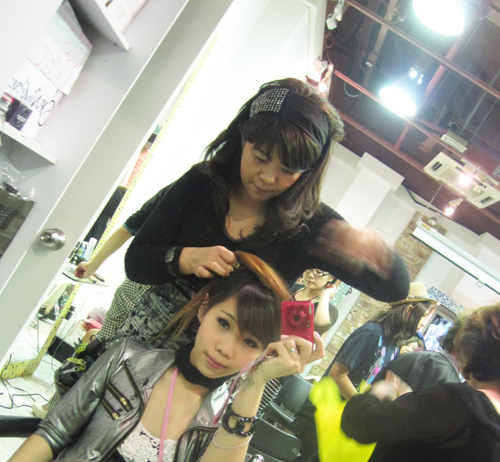 This is my stylist, she's so nice and accomodating! In this picture she's tying up my hair to fit into the hairnet. No piccies of me in the hairnet, very ugly! I like the unique look! MY FAVOURITE!!! Thus more pictures. Hehe. This hairstyle is very trendy in Japan now. 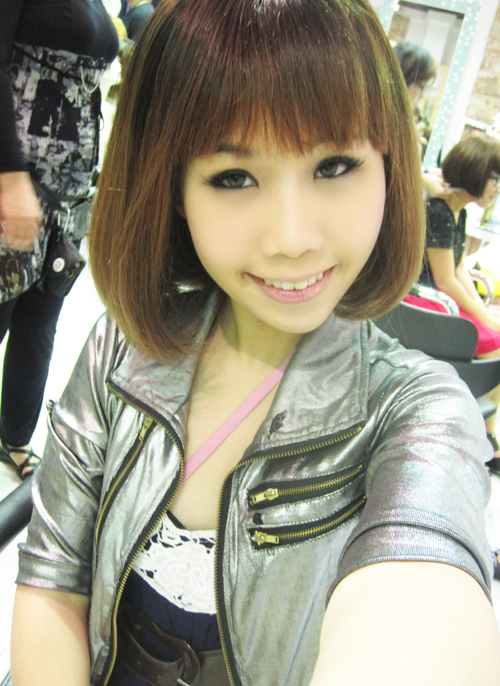 Shoulder length bob, with ends curled inwards. Kawaii! Do you like it? Do you like it? Sorry ah! 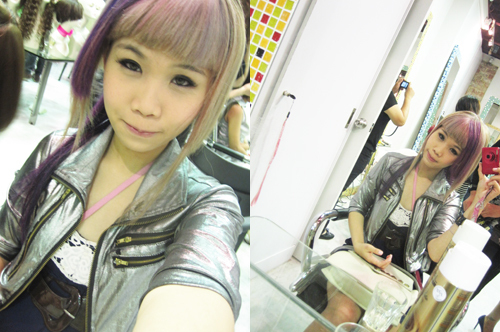 Cannot stop taking pictures cos I really love the hairstyle!! 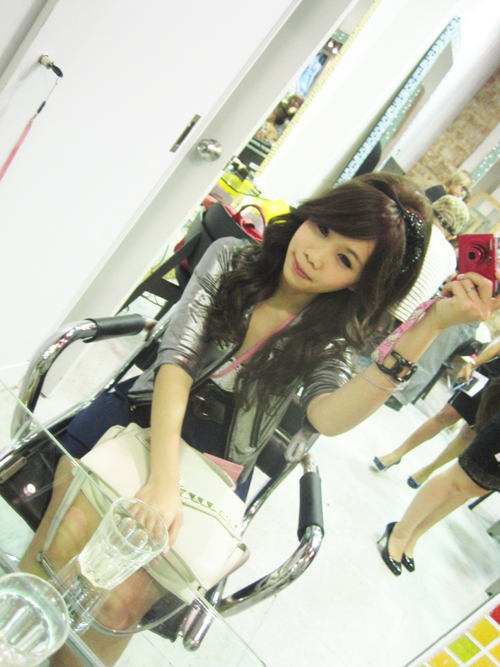 With Jacelyn and her new hairstyle too! 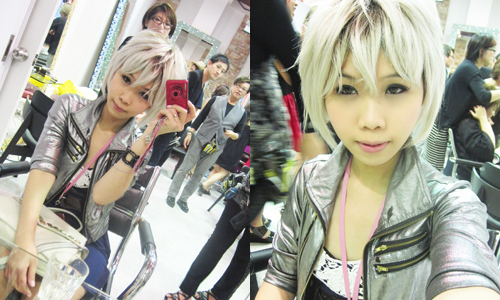 I don't really like it cos too boyish and doesn't fit my personality but ShunJi said it looks good on me! What do you think? 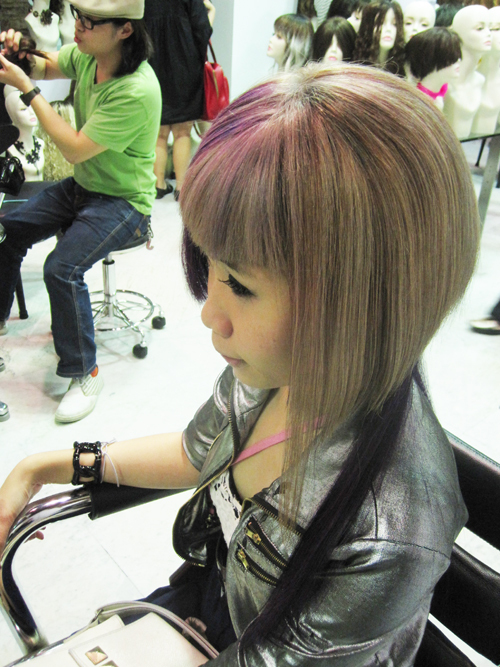 Now i know i cannot cut this style - especially in this colour. Make me look very chaolao right! Lucky it's just a wig! Look at the texture of the hair! So glossy and glowing! 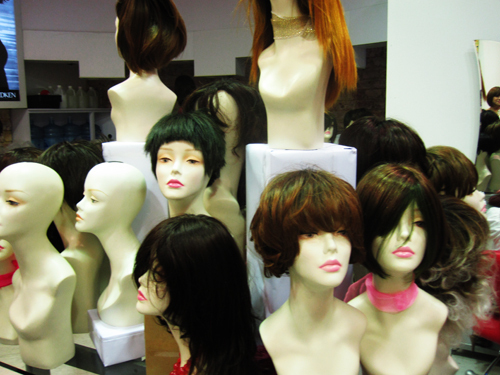 The different wigs, some are synthetic, some are real hair :) Very comfy too! 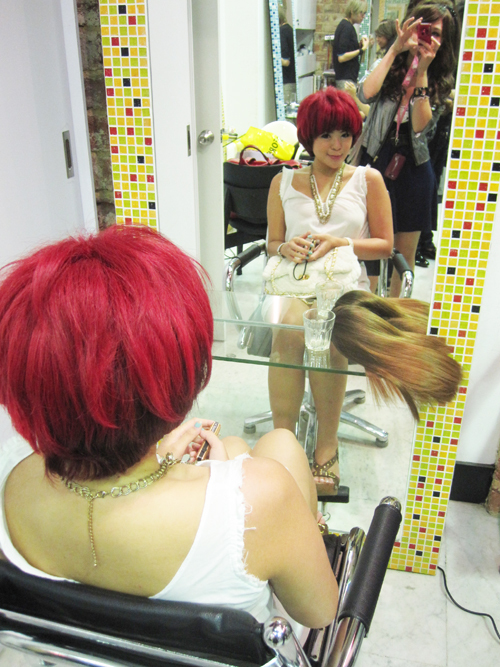 That's Fidelis in her bright red hair. 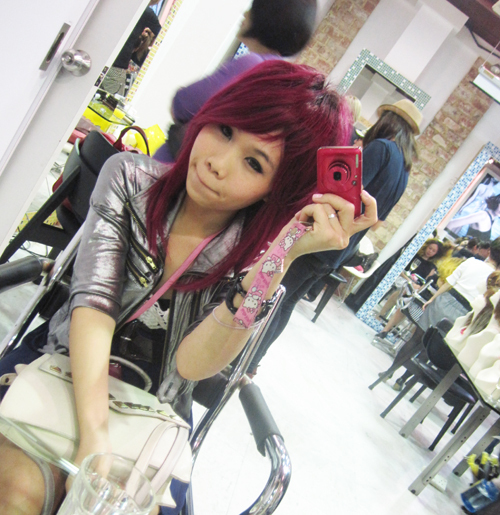 Time for makeup! 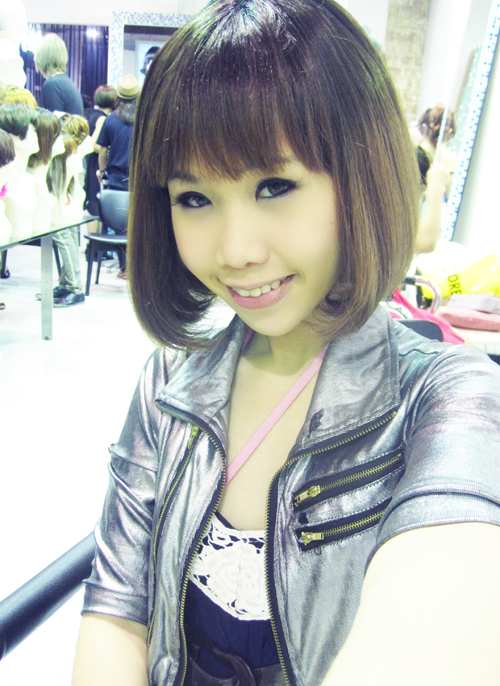 The makeup artist commented that my own eyemakeup is good okay!!! 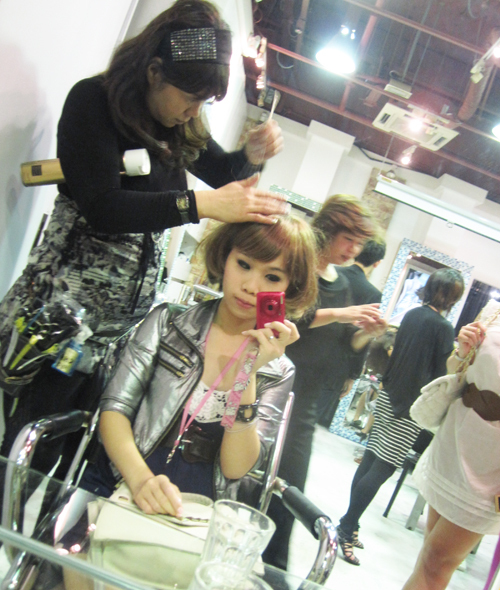 Shunji Matsuo & me. He's very friendly in real life! 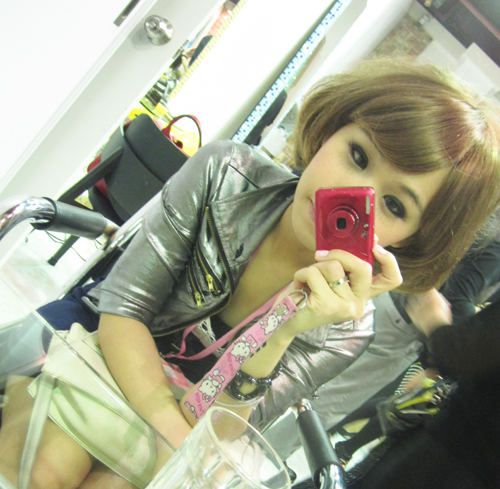 If you want to transform yourself also can go Shunji Matsuo to get your wig! Now tell me. Which style you think looks the best on me? Okay, now back to real life.